Vogelsang Pumps Archives - Powerflo Products, Inc. The latest Vogelsang innovation in Rotary Lobe Pumps is here! 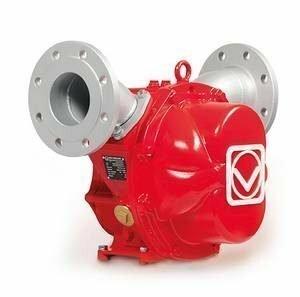 Utilizing our exclusive HiFlo lobe design, IQ series pumps have been specifically designed to reduce the number of spare parts, and maintenance time compared to other lobe pumps. The ability to pump highly viscous liquids, pulsation-free combined with unmatched design flexibility, makes IQ the next revolution of pumping technology. The IQ does everything that our industry leading VX design will but has a one-piece housing that is incredibly easy to work on. The all new IQ design works well in applications requiring a positive displacement pump up to 343gpm. All Vogelsang pumps can run dry without damage, self prime and run in forward or reverse. 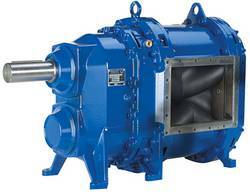 Vogelsang pumps are great for suction lift applications up to 25′. The IQ features our standard 4 wing HiFlo Lobe design, the pump delivers pulsation free pumping action making it ideal for many applications.What makes the IQ a great advance in pump design is the simplified wet-end. We’ve eliminated 50% of the spare parts compared to traditional rotary lobe pumps. This translates into real savings when looking at overall operational costs. The R136 shares all the advantages of the R Series but comes with a few upgraded components for tougher applications. 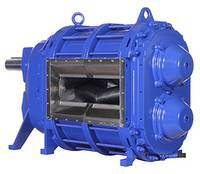 The RP also works well for day-to-day pumping applications but features 4-wing HiFlo rotary lobes. The RP is ideal for agriculture pumping tasks such as lagoon clean out, slurry transfer or slurry pit cleanout. There are three RP136 models to choose from ranging from 1056 – 1585gpm at pressures up to 72.5psi. The RP136 can be pre-assembled on a three point hitch with quick-connect flanges and power take off drive. This is our turn-key solution to most agricultural applications. This section presents all the technical details related to RP136 such as drawings, technical and performance information. The RP136 comes standard with 4 wing HiFlo Lobes for maximum solids handling additional sealing lines. Lip seals are designed for protection against fibrous solid matter. This version features a quick-service cover making it easier to maintain in place without removing flanges or connected piping. The R136 shares all the advantages of the R116 in a larger format. 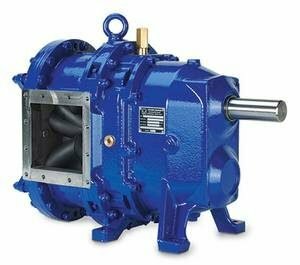 This series works well for day-to-day pumping applications but has a much larger housing allowing it to handle larger solid content and higher flow. The R136 is ideal for agriculture pumping tasks such as lagoon clean out, slurry transfer or slurry pit cleanout. There are seven R136 models to choose from ranging from 198 – 1233gpm at pressures up to 72.5psi. The R136 can be pre-assembled on a three point hitch with quick-connect flanges and power take off drive. This is our turn-key solution to most agricultural applications. This section presents all the technical details related to R136 such as drawings, technical and performance information. The R136 comes standard with Bi-Lobes for maximum solids handling and lip seals designed for protection against fibrous solid matter. The VX136 Series is one of our most frequently specified pump line. 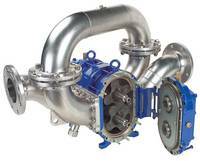 It offers a wide flow range starting at 45gpm up to 1220gpm. It can also be configured to handle pressure to 232psi. 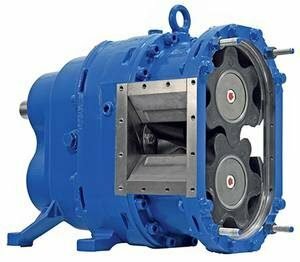 Choosing a VX136 for all of your pumping applications means you can reduce maintenance time and spare cost parts – since most of the parts are interchangeable between models. VX136 is the &apos;go-to&apos; pump for applications requiring a heavy duty, versatile positive displacement pump. 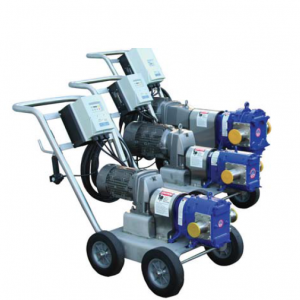 The VX186 Series is our high capacity pump line. It offers an incredibly high flow range starting at 90gpm up to whopping 3520gpm! It can also be configured to handle pressure to 232psi. Choosing a VX186 is ideal for applications involving moving a large volume of liquids containing large solids up to 2.5″.